Over 140 quotes from students were received for consideration. 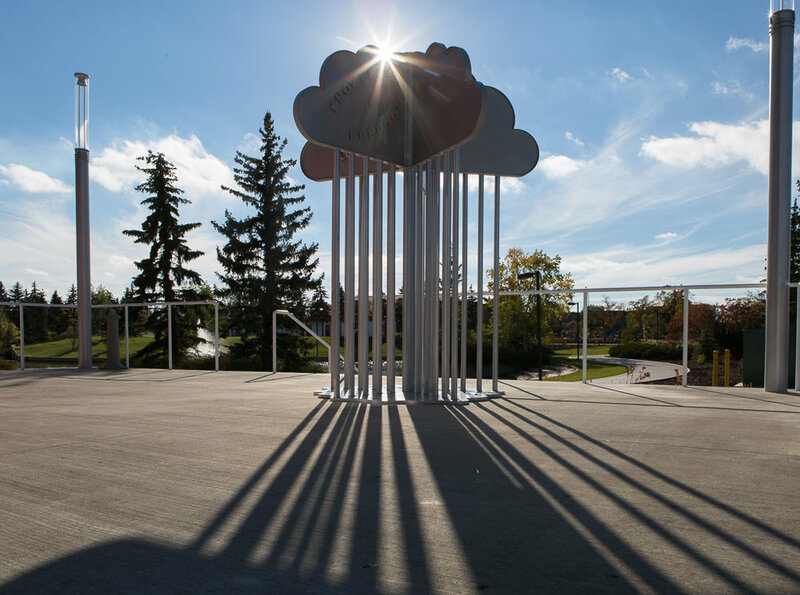 The structure consists of cloud plates that open like a book with pipes that represent rain with a ‘puddle of water’ at the base. 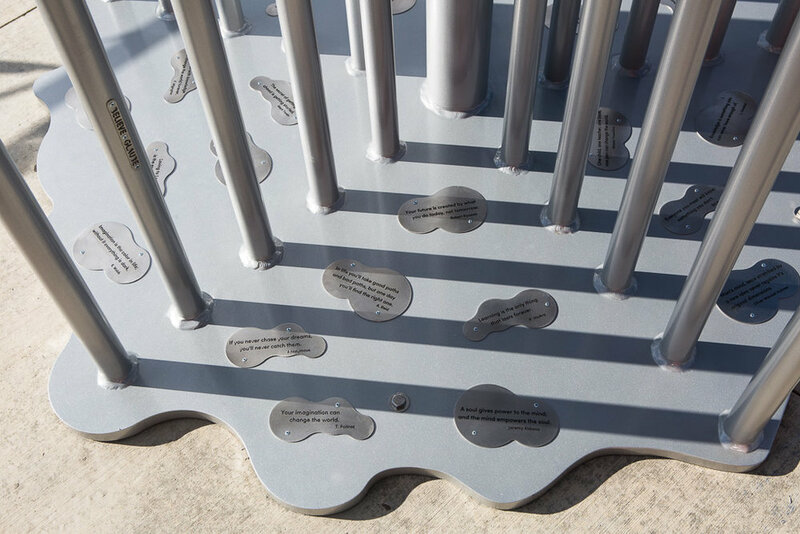 Quotes on knowledge and creativity were solicited from the community, cut out and engraved onto stainless steel plates on both pipes and base. 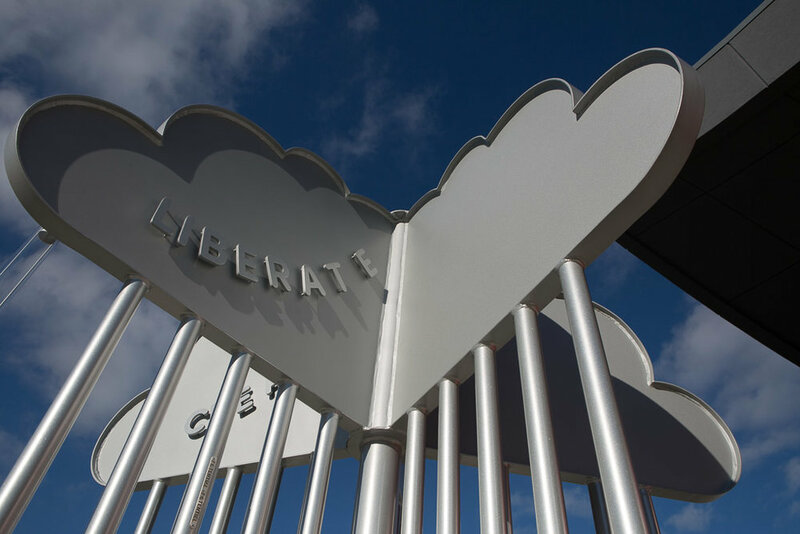 The library’s guiding principles are visualized through the image of a cloud. Clouds symbolize dreams, imagination, creativity and freedom of thought. You may recall the saying, “My head is in the clouds.” Virtually, the image represents cloud computing, the future of information technology and the community sharing of information. Data and information today is now saved and disseminated though the ‘Cloud’. 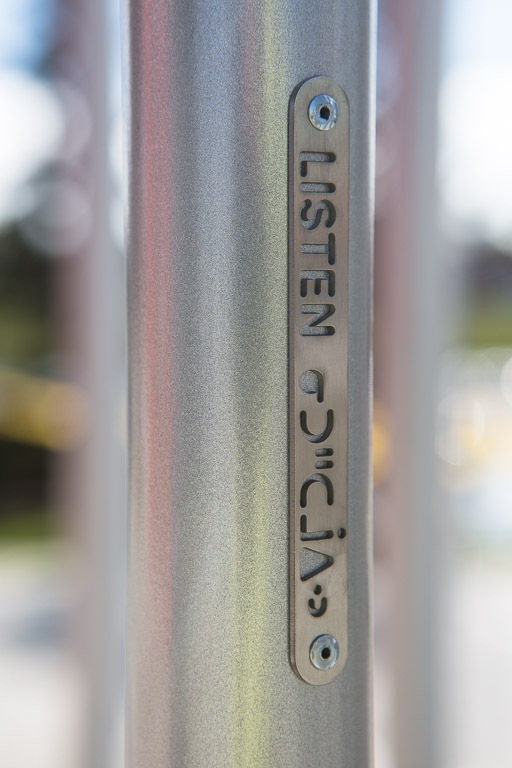 They reflect both the physical and virtual ways in which we access and share data and information and are containers of infinite knowledge, ideas, information. 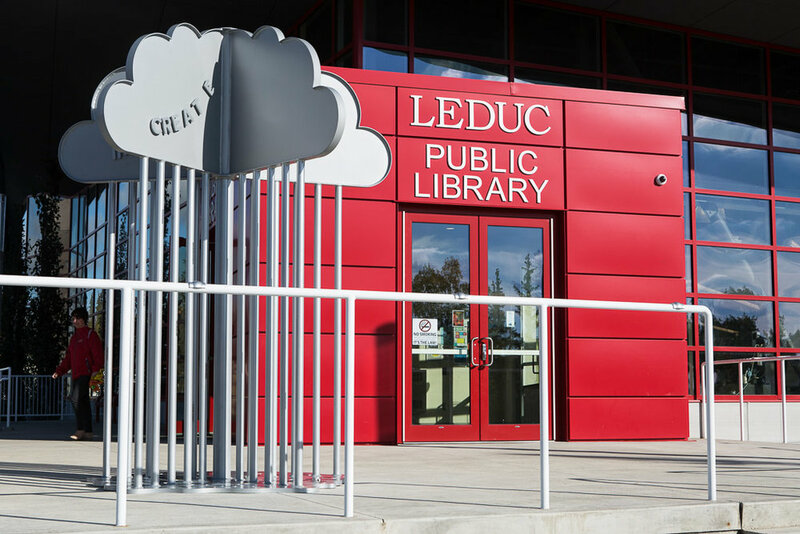 Commissioned by the City of Leduc.